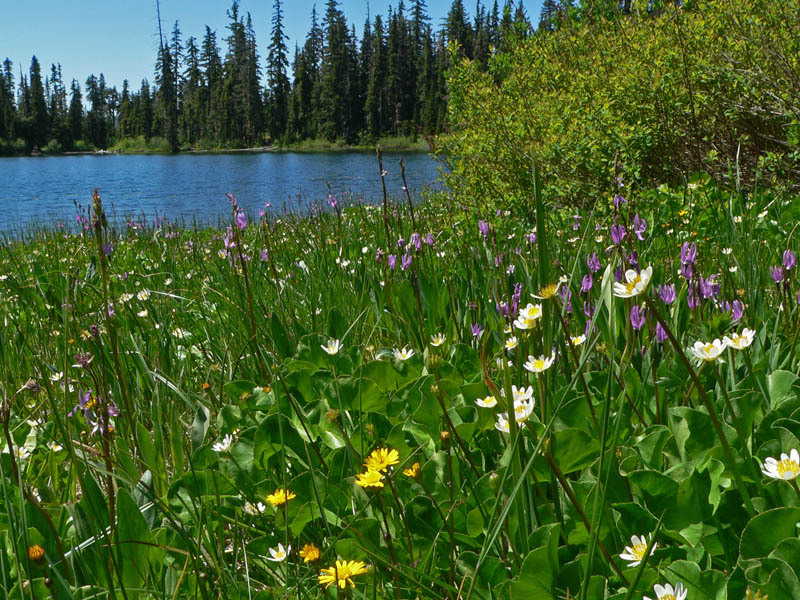 A lake, creek, and wet meadow all by the side of the road—how easy can botanizing get? There’s also a trail through the woods to some upper rocky areas and beargrass meadows if you feel like hiking. And there’s even a campground if you want to stick around over night. This is also a great place to go to see butterflies. Drive on east Hwy 58 to the town of Oakridge. At the lights turn left on Crestview St. and drive over a bridge to the end. Turn right. This becomes Rd 24, Salmon Creek Rd. 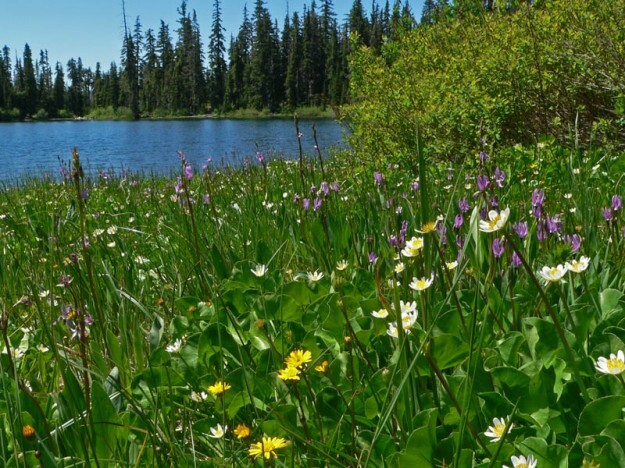 You will see signs for Blair Lake. After 9.5 miles turn left onto Rd 1934. Follow this for almost 8 miles and then head right and uphill onto Rd 733. After 1.3 miles, just before the Blair Lake campground take a left onto Rd 741. Park on the left just past the trailhead which is .2 mile down on the right.